I am dedicating my first post to Michael Milutis, who encouraged me to begin blogging and sharing the small store of wisdom I have gathered over the years. Here’s to you Mike! At a recent social gathering a friend of mine, who works in the COBOL world, asked me, “So what is agile? Is it a methodology or a framework?” It gave me pause. I am always stunned in these days of agile’s popularity – coupled with the internet’s ubiquitous free information, when someone asks me a square one question. Instead of rattling off a standard answer, I looked for a deeper underlying meaning to his question. He is in fact a very good and intelligent person and deserved a thoughtful answer. “Agile is, in its deepest and most profound sense, a philosophy of intelligent adaptation to constantly acquired knowledge and changing circumstances. Agile is solely driven and measured by business success. Agile is NOT simply a development methodology. Ultimately, all aspects of the enterprise from strategic planning to the most atomic level tasks must embrace agile for optimal effect.” People that are looking for a fixed methodology or a heavily controlled process for agile will always realize less benefit – if not experience downright failure. The key words here are adaptation and success. I know a case of an agile team effort that rigidly followed a scrum methodology. Despite the fact that they actually achieved greater productivity, reduced development time and cost, improved user satisfaction and quality; this effort was cancelled by the CIO. He found that stand up, short, daily meetings without minutes, the lack of detailed user signed off requirements and everything about scrum, an anathema to his existence. So, even though the team executed the scrum method precisely, they and the enterprise failed to be agile. They simply didn’t adapt enough to be successful. In this instance, adaptation meant coddling an executive’s emotional needs for political reasons, an unfortunate reality, but a reality none the less. What this experienced scrum master should have done was adapt her process. She should have taken it upon herself to create documentation and meeting minutes for the CIO. This would have satisfied his need; even though it was illogical. She could have done this while she insulated her team from the kind of inertia that this level of documentation generally creates. Eventually, the CIO was let go, but the company’s agile effort was set back years and they are still struggling with it today. The goal of agile is to get from point A to point B in the quickest, most effective and efficient manner. To GET from A to B, you need to adapt to whatever the circumstances and environments you find yourself in – even obnoxious and difficult, but politically powerful people. Research shows, as seen in the following diagram, that agile has left its infancy where initiates prosaically follow an idiosyncratic process. It has graduated to a level of mastery, where practioners are comfortable enough with the concepts to customize and improvise agile methods to meet their own individual needs. For example, one adaptation to extreme programming that I have suggested to several companies and they have enjoyed success with, is a concept for paired programming I humorously call, “RAT”. This stands for Responsibility Assurance Transference. (RAT was a moniker suggested to me by a friend, who is a “master” agile developer, during a scotch tasting event where I was a guest speaker. On general principles, I am opposed to derogatory terms, but the scotch won out that day and most others find it funny). In RAT, developers are paired by similar experience and expertise. Each developer in a pair is responsible for the quality of the other developer’s code. This forces developers to get religion and seriously review the other person’s code and make sure they understand it thoroughly. If a bug occurs in production, it is marked against the reviewer and they are known as a RAT. One company even made up RAT signs and clipped them to the offending reviewer’s desk until the bug was resolved in production (I am not advocating this – just reporting it. This company also “gongs” team members during daily scrums when someone drones on, which is a practice I am also not sanguine about, but it works well for them.) Companies that have taken the “RAT” concept to heart have told me, not only do they have substantially fewer software defects, but the coverage for development work over vacation or illness has become incredibly smooth. Strange as it may seem, none have reported that this concept is time-consuming to implement. Developers end up working more closely with each other. RAT encourages them to continuously review and share information. Normally developers wait to the end of a program’s development cycle, when the complexity is the greatest, to become acquainted with someone else’s code during a formal review. In RAT, when junior developers are paired, a senior mentor from outside the team is assigned to work with both of them. This concept can be applied equally as well to my friend’s COBOL world as to a C#/Internet or any other environment. So for all you purists out there, remember that an impure, successful agile effort is better than a pure, unsuccessful one. The important thing is to gain an agile foothold by adapting to whatever environment you find yourself in and level set management expectations appropriately. I am not saying you should do a waterfall process with a set of brief meetings each week and call it agile. There is no point in that, but there are a number of adaptations and combinations you can make to agile to meet limitations that exist in all enterprises. In agile, one-size-does-not-fit-all, nor is it intended to. Well, let the blog begin and remember to keep agile! As a colleague of mine, Brad, who just happens to be an amateur military historian noted, the idea isn’t original. It’s a concept from basic training in the military, and goes back at least to Frederick the Great’s army. The Prussians would pair off soldiers, a veteran with a new recruit, so the vet could pass on everything he knew. Also, reliable soldiers were paired with those who might be a desertion risk, under the idea that the reliable one might prevent the other from leaving. RAT differs however, in that it takes this concept and turns it on its side to promote the best possible quality out of a pair of equally proficient experts. A tried but true moral here is that history can teach us quite a lot, even in a technical age. This entry was posted in Agile Arguments, Agile for Beginners, Agile for Software Development, Agile in the Enterprise, Agile Thinking and tagged Agile, Agile Adoption, Agile Methods, Agile software development, Business Agility, Keeping Agile, Organization, scrum, Software Development. Bookmark the permalink. 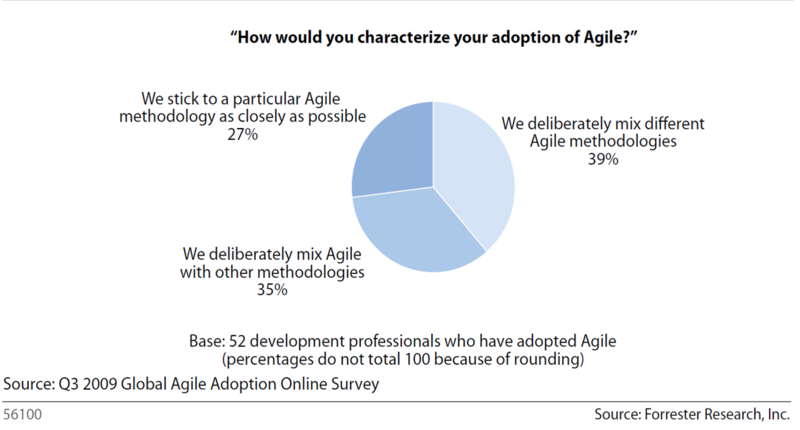 77 Responses to So what is Agile? Nice introduction for those not familiar with the concept of Agile. The idea of adapting to the political environment can be the difference between success and failure in early Agile efforts. Hopefully, over time, those adaptations can be reduced (or eliminated) as people begin to acknowledge the value brought by Agile. Wonderfully expressed and exactly on target with the intent of the article. I look forward to learning more about agile through this blog. This blog will cover ALL aspects of Agile not just software development. I intend to expore with all of you the nature of agile and its practical applications in all aspects of enterprise life from vision to fulfillment and organization structure to operations. Excellent article about the danger of agile being all about the methodology. In software engineering, great agile teams are ones that start out using an agile process as a means to produce high quality software. They instill reflection points – a process where they periodically evaluate the methodology they’re using and make any necessary changes to improve the end product. Metrics used should, therefore, be about the quality and timeliness of software produced, not about the process. Glad you brought up “reflection point”. This is a term that Mike has evocated and he has some very definitive ideas as an experienced agile practioner concerning these evaluative events. We will have to get a stream going about “reflection points”. I am sure it will prove interesting. This does a nice job pointing out the inherent fears and misconceptions about agile. Agile, as Brian said, is not simply a development methodology. It is a cultural shift of the ORGANIZATION. Waterfall is all about “me”. Agile is all about “we”. Dave is quite right! He points out two of the “Monsters from the Id” (can anyone guess that reference) that trouble new agile efforts: fear and misconception. For example – I remember many, many years ago when I was a green pup, at a small steel manufacturer where they were implementing a RDBMS. A representative from the vendor just gave a good introductory overview of relational concepts in general and some specifics about DB2. I had learned relational concepts from C.J. Date so I was well up on relational theory and even relational algebra. During a break, an I/S person from the steel manufacturer stopped me on our way from grabbing a cup of truly awful coffee. He said in a sarcastic and plaintive voice that he couldn’t believe that the vendor thought they could get away with what they were selling since it was just an old “card file” system and offered nothing new. I nearly dropped my coffee (which I should have done anyway). I couldn’t believe that he missed the point – entirely! Later I found out he was a VSAM manager and felt his job was going to go away with the introduction of database management software. Many administrative and classical project managers resist agile because they think agile will replace them. They are right to some degree with agile there is far less need for administrative management, but generally it is a transformation not a replacement. In scrum project managers who tend to act like generals and decision makers become scrum masters who are in reality communicators and facilitators. Agile also puts a lot of pressure on the user community. Users are more challenged to understand and articulate their needs. The good news is that since agile is rapid and iterative, they only need to focus on a small piece of the puzzle at a time. All-in-all even though agile is rapidly driven which scare the heck out of some people, since the focus is small and specific it is more manageable. A very informative write-up by Brian. I found this very educational and am anxious to start practicing some of the principles. Thanks for sharing your knowledge of Agile. I look forward to hearing more about it. This article reminded me of a recent episode of PBS’s Downton Abbey, which is set in the early 20th century. Witnessing the installation of the first telephone into the house, the skeptical middle-aged butler, who would be tasked with answering incoming taking calls, said he couldn’t see what use it would be! Perhaps someone should have said to the butler, “Don’t worry, you will be fully assimilated, and resistance is futile in any case.” It was clear by the next episode that the butler had indeed become assimilated as he discovered what he could now do with the marvelous new device — and became an advocate. But the butler was right to be concerned. At first, he didn’t understand the new device and its implications. He was afraid of change. His job was to keep everything running smoothly. Many of us are perhaps in the same situation with respect to Agile. We’ve all heard about it, but we’re not quite sure exactly what it means. And we don’t want things to go wrong if we start using it. Nevertheless, like the butler’s telephone, perhaps it’s time to give it a try. After all, some of the best families in the country are already using it! When the butler received his new telephone, the installer didn’t just say, “Now you are with telephone!” In fact a senior representative of the telephone company spent time with the butler and his staff explaining what the new device could do, how exactly to use it, what the limitations were, the normal etiquette during usage and, importantly, when not to use it. The lesson is that change needs to be done with some care — we don’t become agile simply by declaring ourselves to be so. We all need to approach an eventual change to Agile with the care, commitment and seriousness that it deserves. What a wonderful analogy John! You point out that when introducing Agile like any other new idea, failure is often not due to the idea or concept being lacking; but the implementation. We who are champions of Agile should all take time to reflect on how we can introduce Agile (or improve a current agile implementation) in a non-threatening manner. There are interesting parallels and differences between John’s PBS series reference and my personal recollection in my response to Dave. In John’s case, the user was disquieted by ignorance which was averted by a well thought out and sensitive implementation. In my recollection, the person was an obstructionist who at some level realized a threat and chose not to reinvent themselves (and their position) to turn it into an advantage. The former situation is readily addressable through communication and education and can turn potential enemies into allies. The latter is a difficult situation which requires organizational pruning before the obstructionist can damage the implementation. It is important to recognize the difference between obstructionists and crusaders. Obstructionists are very Machiavellian will block a new “good” idea because it represents change and threatens them or their way of thinking. Crusaders will often “constructively criticize” a new idea and suggest logical alternatives that represent improvements. These are people who think outside the nine dots. They are often thought leaders. Any good agile implementation can withstand and respond to the suggestions of people in this camp and improve in the process. Overall, article was interesting .. but responses and follow up blog posts . just as valuable. I agree Steve, it is the interactive aspect of the blog that shows its true value. So far we have seen some very perceptive comments that have given us a superb collection of materials for future article topics. looking forward to another great article. good luck to the author! all the best! I to am looking forwards to reading all these posts and I wish Mr. Lucas the best in his career. He has done us all a great service in writing this blog which has so many interesting posts. Thank God, I found this blog! I am a senior manager in a large shipping firm. I have been with this company for over twenty two years. We started an agile I/S initiative two years ago. I initially supported this effort. The budget for this was significant. It has changed, at least to some extent, our relationship with software development. This change has not always been for the better. They put a great deal of emphasis on getting immediate answers from us to their questions about what the application should do. They do not return the favor. Frankly, my view of agile has been negative. This is despite the fact that we are receiving new application releases somewhat faster. The whole focus of our agile initiative has been the computer. The CIO brought in outside consultants and people called scrum masters. There was a whole new set of terminology that we had to learn. Terms like scrums, product back logs, retrospectives, and so forth. They were explained to us briefly in instructor led classes. We were also provided colorful handouts of the definitions and processes. The first three releases of software were difficult experiences. It is now running smoother. This has been a very expensive process for us. I for one am not satisfied with the ROI. Being dissatisfied, I started to do my own research about agile. It was a bewildering experience. I was just about ready to give up when I touched on this article – So what is agile?. It was not as glossy as most of the other sites and it was buried far down in my search results. The quote from Confucius caught my eye. My experience certainly bordered on being bitter. I was now trying to gain wisdom by the noblest method which is reflection. I was struck by the very first paragraph. I have always been made to feel dumb whenever I asked questions about this agile concept. Here was a person in the computer field asking the same question. To his credit, Mr. Lucas apparently bit back a flippant remark and gave a thoughtful response. At first I thought this was a bit academic and highbrow. As I reread it several times, I realized that Mr. Lucas was being careful with his wording. His definition conveyed worlds of meaning in a few sentences. The last sentence was the most important to me, however. That all aspects of the enterprise must embrace agile. I read the next paragraph. It reminded me somewhat of my own experience with agile. Unfortunately, the rest of the article went in a more technical software development process direction. If Mr. Lucas will forgive me the RAT idea seemed immature. I was lost again. However, that single definition intrigued me enough to read Mr. Lucas’s other posts. I read – What do you do with an entrenched skeptic – where Mr. Lucas continued his conversation with his friend Jim, the skeptic. I frankly could not follow it all, but it made me feel better about my own lack of understanding. 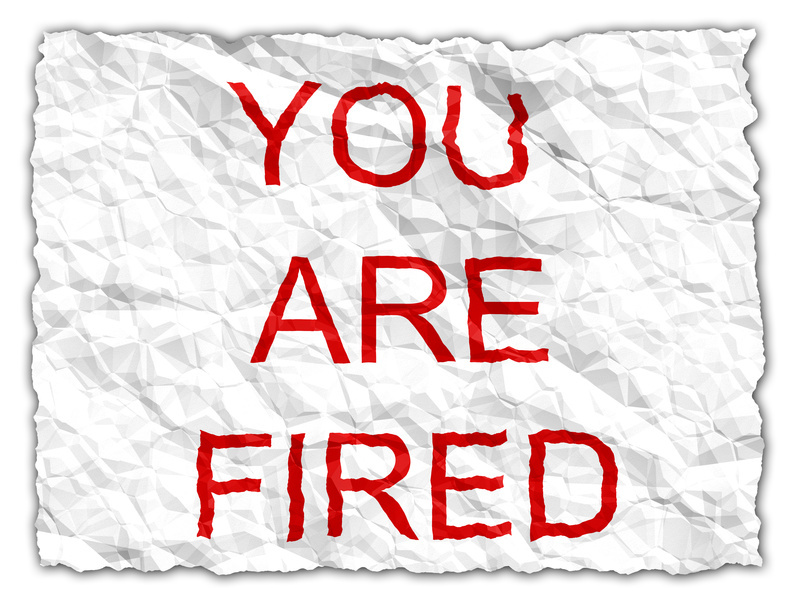 Then I read – Why CEOs fail in today’s agile business environment. It was a very clear, profound and authoritative work. I understood it completely. It was an unbelievable departure from everything else I had read about agile. To me, it was a return to his definition of agile applying to the whole enterprise. I then read his series – A tale of two companies and Employee suggestions. As an organization, we certainly acted like the fictitious Pyramid Computer Software company. The dialog and the story seemed so real. I wonder if Mr. Lucas is really describing a situation in which he has firsthand knowledge. Then I read – Is agile a return to common sense? I was never so impressed with writing in a post before. Mr. Lucas is a very imaginative and colorful writer. He must do a great deal of research on what he writes about. The realism of his descriptions was intense. I was so drawn into the time of ancient Greece and colonial America; I feel I have actually been there. I was so disappointed when the article came to a rather abrupt end. The last articles I read were the series – Interviews with a natural agilist. This truly opened the door for me to understanding what agile really was about. Agile is how we think and act together and focus on the most important things. It is ignoring the trivial. It is also by passing any process that is done for the sake of business politics. Most of all as Mr. Francavilla would put it, agile is about success. Thanks you again Mr. Lucas for your articles. I hope you keep writing and follow through on your promises of future articles in your series – A tale of two companies, Interviews with a natural agilist and Is agile a return to common sense. You are a talented writer. If you don’t mind a bit of criticism, you are hiding your light under a bushel basket. Hi Brian! You have a super blog!!! I have read everything you have posted. I am a web C# developer working in a fortune 500 company since I interned here 5 years ago. I really like your approach to quality assurance in code. We have followed a number of Extreme Programming concepts, but I like your approach better. I am going to bring it up at our next process improvement meeting. My question is do you have a whitepaper or any more details on the process you describe here? As the owner of a business that has to operate in a very challenging time, I am always looking for ways to improve. I have heard so much about agile, but most of it comes from our IT department and revolved around building software. Your blog has put a whole new spin on agile for me and I am taking valuable lessons from it. I have noticed that you don’t seem to post as much as some blogs do and that lately you are posting with less frequency. Please don’t abandon your loyal readers!!! I love the opening quote and like the way the article is laid out with pictures, very sharp and professional. I also liked the beginning part of this article, but became lost when it changed to a discussion on programming. I was hoping it was going to be a more generic discussion of what agile is from the title. Still I must say it is well written and the opening description of agile makes it worth the read. Thank you Beth! I will continue to post more on agile philosophy independent of IT and Scrum. One series in my Interviews with a Natural Agilist. No Michelle I do not tweet or twitter, but I do give a whoot! You can email me and I might breakdown and create a keeping agile Facebook page if my readers insist. You’re a real deep thinker. Thanks for sharing! God, I feel like I should be taking notes! Great work! Never really understood agile before. This first part helped me, but I got a little lost in the second part still it is well written Brian. Pam if you read on and follow the other threads agile will hopefully become clearer. Thanks for being a reader. My friend this is a discovery that has brought me much wealth of information. Your blog on agile is a refreshing change from everything else I have read. My compliments! Thank you Claude! Please spread the wealth of knowledge around. There are many comments already on this blog. I wanted to post a comment not about a single article but about the world of agile that you are unfolding. I am brother-in-arms being a technical writer for large enterprises. Many of these are dealing with the need to be agile in the new world economy. Your blog has been amazingly helpful to me as a reference source. 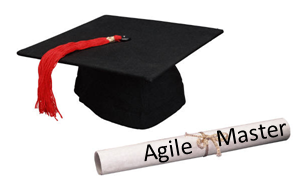 I wanted everyone to know that, So what is Agile is an auspicious beginning to a marvelous blog where the world of agile unfolds its many facets to us through the words of an agile genius and master writer. You are a much welcome voice in the world of agile and business that was previously confined to software development. Your definition of agile, “Agile is, in its deepest and most profound sense, a philosophy of intelligent adaptation to constantly acquired knowledge and changing circumstances. Agile is solely driven and measured by business success. Agile is NOT simply a development methodology. Ultimately, all aspects of the enterprise from strategic planning to the most atomic level tasks must embrace agile for optimal effect.” lays the foundation for all the explorations of agile thinking in business, organization and even personal life that follow in beautifully worded articles. I am very appreciative of your compliments, especially since they come from a fellow writer. I am actually expanding my definition of agile and will write a post about that effort soon. Thanks for being a loyal reader. I appreciate it. There is so much to be learned from this site, it is difficult to know where to begin. Brian Lucas has a knowledge of agile which spans a vast reach from business and finance to life and morality. While some have this faculty, few can teach what they know in a manner that educates and entertains. Brian is one of these few. I never know what will be the next course his blog will chart. Despite this variety, his blog’s theme remains cohesive. Each article is a gem. If he posted 10 times a day, I would read each one. Kostyantyn – If only I had the time to post 10 times a day! Until that happens I will wrestle with my schedule. Thanks for your support! Hi Brian! Thank you for sending me the link to this post it answered my question and then some about agile. When I get more time I will ready the rest of your blog. You are a super person taking as much time as you do to explain things to everyday people like me. Brian, Brian, Brian! I finally had to comment on your blog. I first read this post back in May of 2012. I liked it so I bookmarked your site. I returned a month later and then every week or so. What a journey you have had and have taken us all on! Your posts have gone from excellent to great to phenomenal. You have lived up to the title of your blog Keeping Agile in every sense and expanded all our minds immensely. The many, many comments that you have received prove it. The thoughts you have expressed in your blog have without question helped my business and I am sure benefited many others. I wish you continued success and hope someday to read a book of yours and maybe get your autograph in it. Sincerely – Mark. Mark if I write one or maybe I should say when I write one you will get an autographed copy if I can find you!!! Thanks Pat! Please keep reading and commenting. 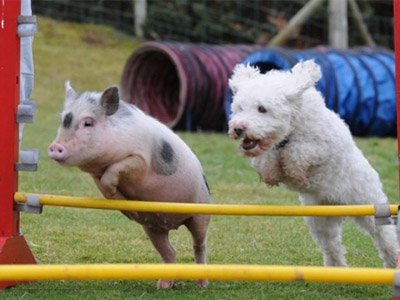 This sure answered the question about agile for me – thanks Brian!!! That is some comment Brian. It makes me jealous. Oh Brian I actually think I understood most of this! Another definition of death is ceasing to grow. I hope I never stop learning. I love the Keeping Agile tag you made it should replace WHAAAAATTTSSSUUUPPPP! I find that there are many good and powerful comments here on this blog. I always read them. They tell me what others are thinking. They also tell me that this subject is important to many people. I enjoy this blog very much. Thank you Olga for your support! OK Brian I have finally read your blog and have to admit that it exceeds all my expectations. You are a very, very good writer. You make everything interesting. I can’t wait to read more! Solid and detailed tips on agile software development! I will try them out and let you know how I do. I love the rat idea all in good fun really and takes the sting out of defect issues. Nice start to a great blog! I recommend it to everyone! Business or not! Best damn blog on agile I have ever read! Nice article that takes a different approach to explaining what agile is all about. I am going to have to read the rest of this blog. Best blog about agile that I have ever read! And it is the ONLY blog I have found that really covers agile thinking as a philosophy of life! Great work BL!!! Brian what a great blog please post more! You are a steady voice and shining light in these turbulent, dark times. Brian I am making this comment on you first post since it applies to your entire blog. I am very impressed with the content and caliber of your writing. Your blog doesn’t have all the flash that some others do, but you have something far more important – VALUE!!! The range of articles that you post is amazing. It is even more amazing that you have managed to keep them consistent with your theme of agile thinking. I am astounded at how you have been able to extrapolate agile concepts, generalize them, and apply them as a philosophy to almost everything. There is a depth to your writing that is rare in internet blogs that are saturated with worthless and obvious opinion. As others have said here, you are a true thought leader. Please find time to post more articles! I will read every one of them! For businessmen like myself they are rare beacons of light in an environment obscured by the foggy rhetoric of self promoters. I agree Brian! Your blog is way cool and you are one super smart guy, I’d love to meet! Great Blog Man! You have to post more often!!! Great start to an even greater blog! I am glad I found someone who has as much theoretical and practical knowledge as you! Keep posting! You have a first rate blog Brian! It is better than many of those who have big names in the agile world. You should promote it more. Brian, this was obviously your first post. In reading it after I have read some of your later works, I can’t help but think it needs to be updated. This is a succinct and unique in my experience definition of Agile. It is considerably more meaningful than the standard descriptions one finds in specific instances of this method such as scrum. Its remarkable I missed this blog in my previous research efforts. I believe this blog is worth further exploration and will recommend it to my team.